Trax Stool features a nonupholstered, self-skinned urethane seat and back that both feature a modern industrial molded pattern. The seat swivels 360 degrees and adjusts pneumatically in height from 22" to 32". Footrest provides comfort and is adjustable to each users height. Back is height adjustable and tilts to accommodate different users. Position of footrest is also adjustable. 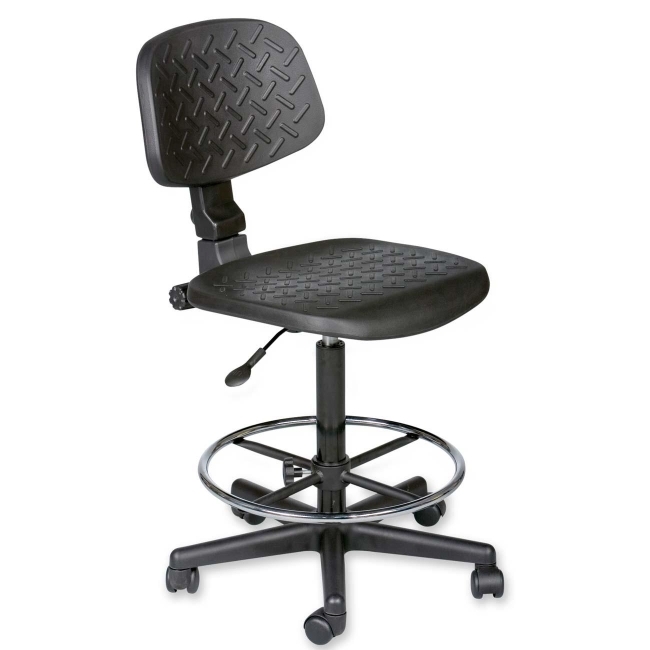 Five-star, nylon-resin reinforced base has dual-wheel casters. Seat measures 17" wide x 16-1/2" deep. Trax Stool weighs 37 lb.